Bottling, Wire and Cable Manufacturing. 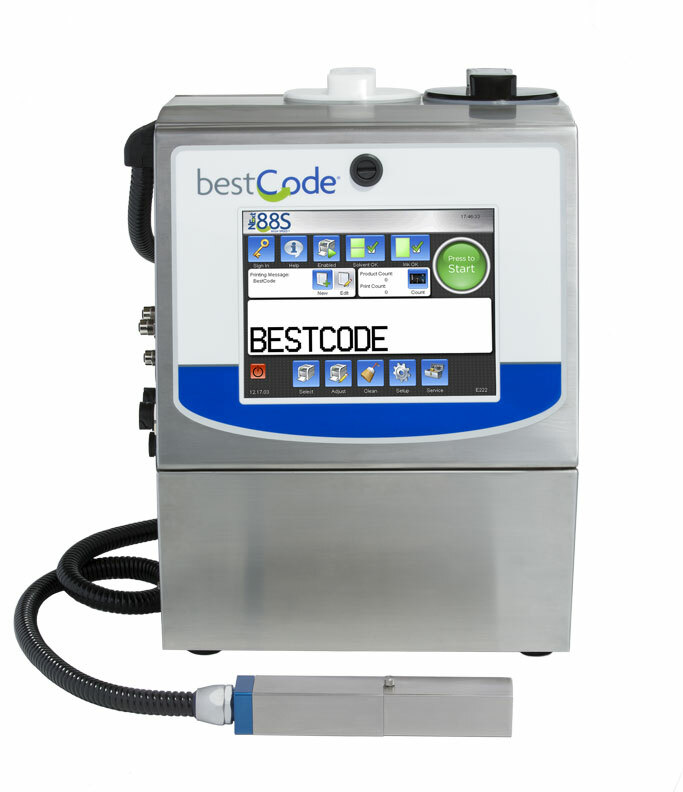 The BestCode Model 88S High Speed One prints fast, high quality single and twin line codes, barcodes and graphics on the highest speed bottling, canning, wire/cable production lines. A complete range of specialized inks for glass bottles, returnable bottles,wet glass bottle coding, plastics, metal, thermo-sensitive color change inks and more. Ink dries in a second and can be permanent or removable with caustic solutions or water as required. and other identifying marks to any substrate.